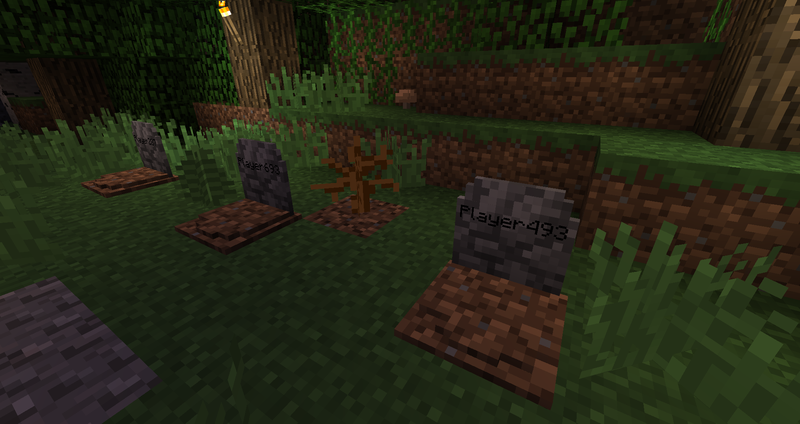 This mod adds a gravestone to your minecraft world. 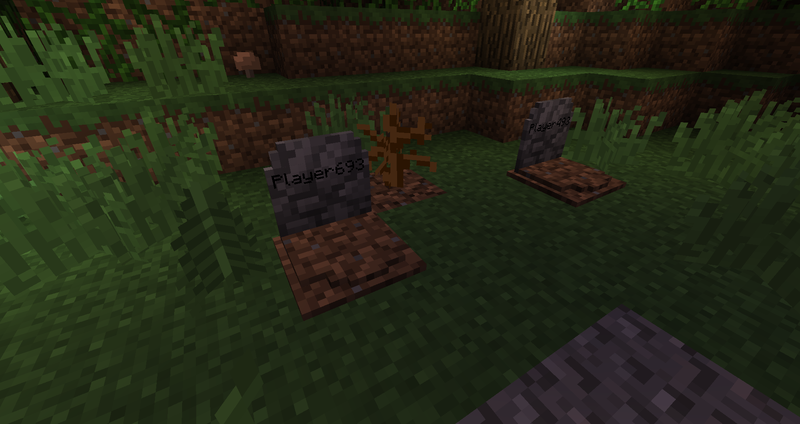 When you die a gravestone will be placed at your death position and the players name is written on it. 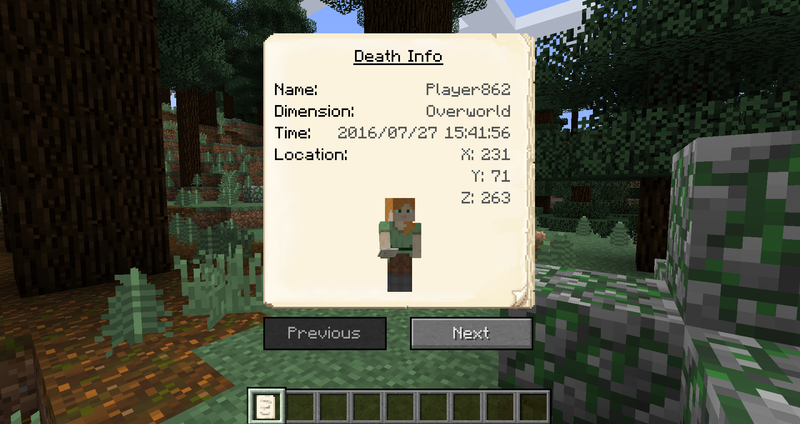 Optionally you can get a piece of paper with the necessary informations about your death. 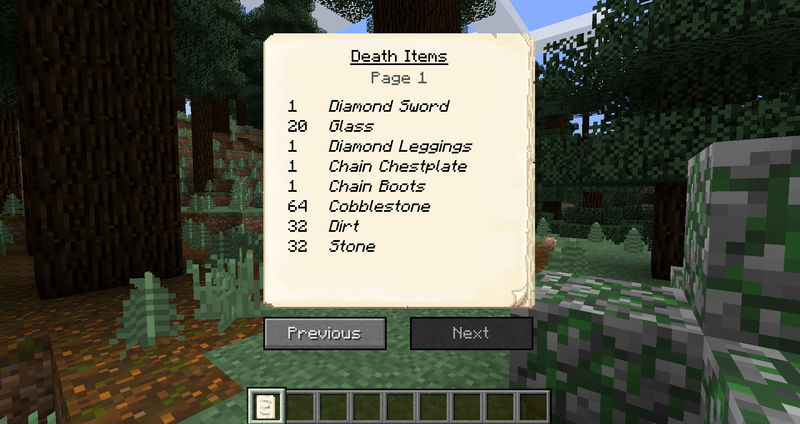 There is also an option to automatically remove this item when you break the gravestone. 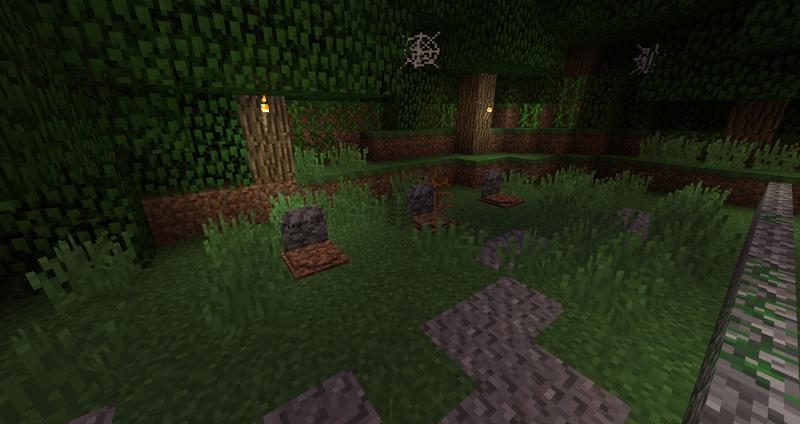 When you break the gravestone it will drop the items of your inventory. 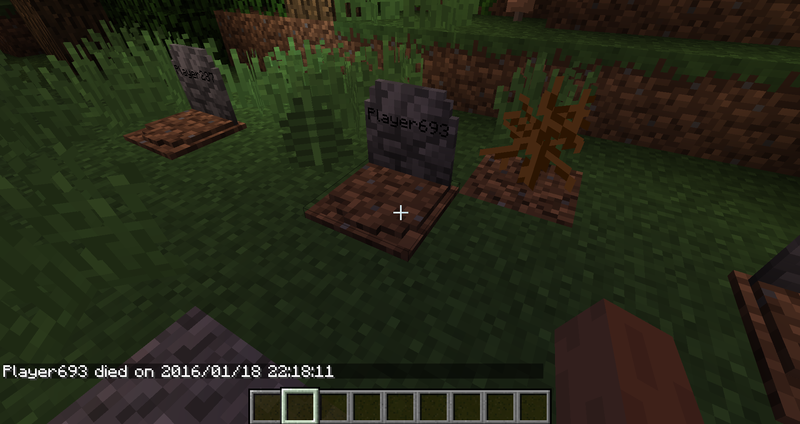 If you enable the gamerule keepInventory there will be placed no gravestone. You can also break the gravestone with silktouch to get it as an item to use it for decoration. 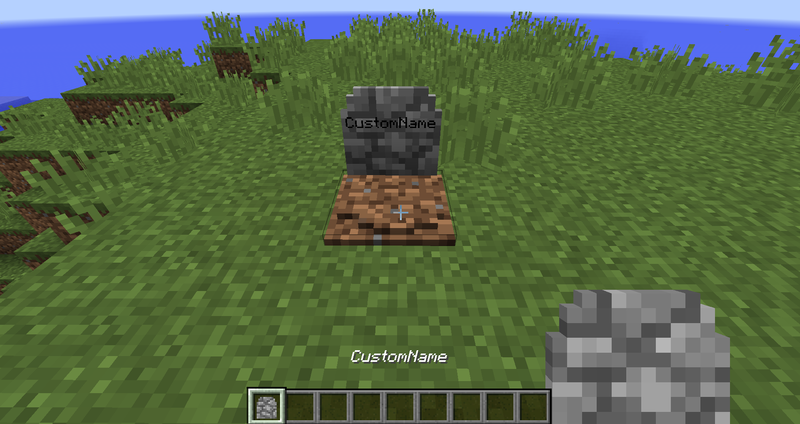 When you rightclick the gravestone the name of the player who died and the death time will be displayed. 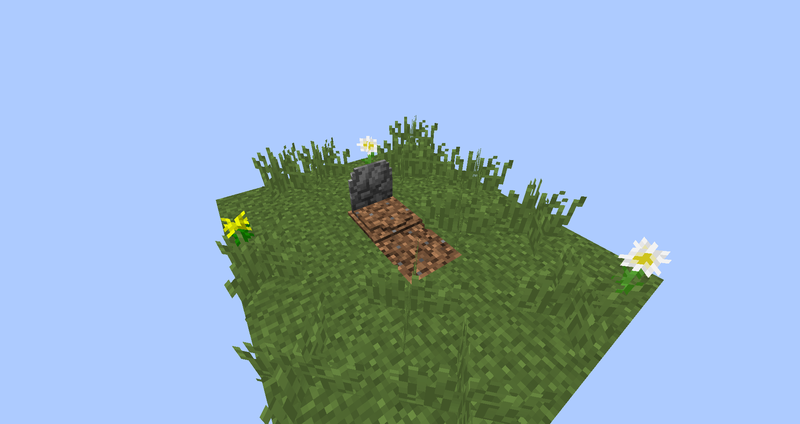 The gravestone can be named by simply renaming it in an anvil and then placing it. 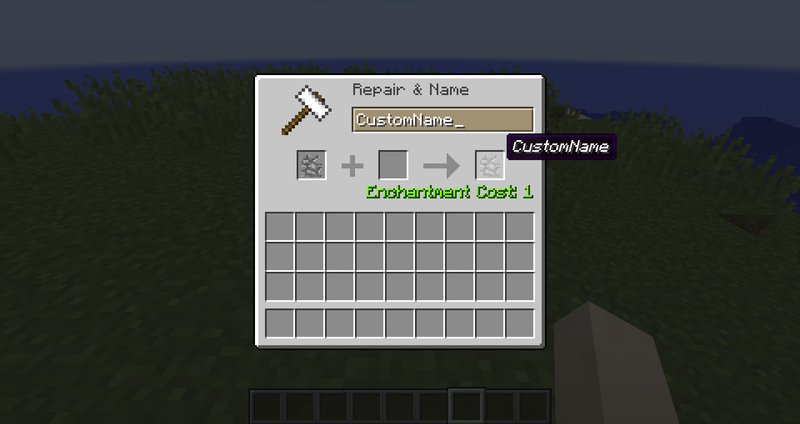 If you want to add this mod into a modpack, feel free to do that. Can you put a death point visible when die? how i know the death position? i must try to search them? You know the death position by looking at the death info.... it gives you the exact coordinates of where you died. Look at the screenshots. Haven't played the 1.13 version. Check your configs and make sure its set to give you a death note when you die. Why are the graves unbreakable? 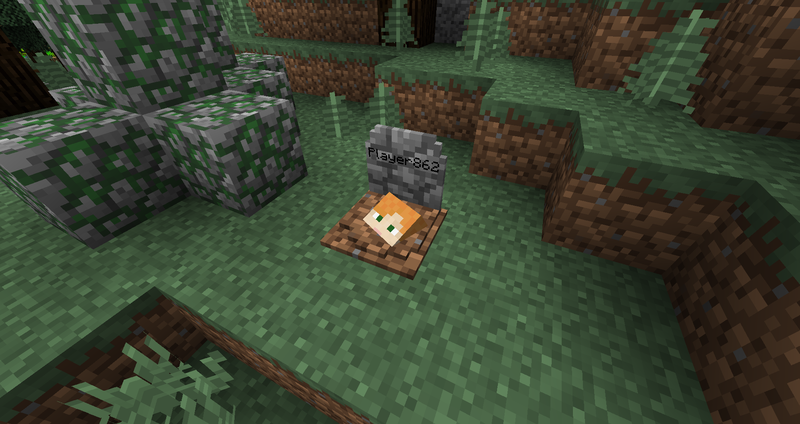 It's a good mod, but my suggestion is that you add an option in the config so that the mod does not create a grave when you die in the void. 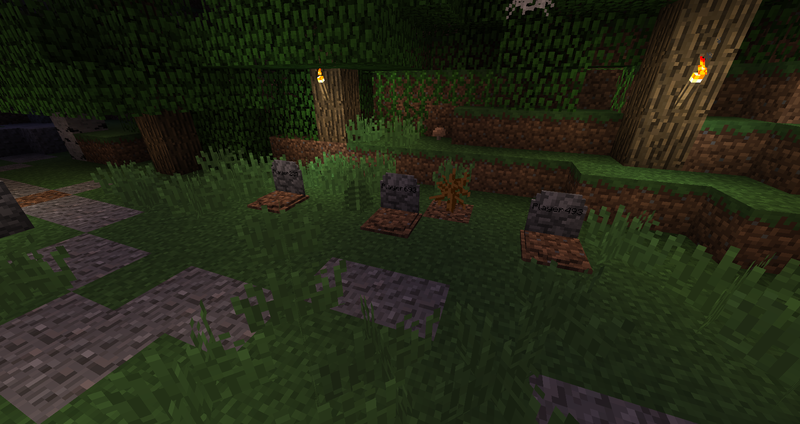 If someone dies in the void, I don't want them to get a grave for dying in the void, only if they die on a block. I would like to use this mod in my skyblock modpack if this feature is added, I'm sure there are people who agree. Thanks. This version is a dirty port from the newer version and it is not really supported anymore because this version is almost 4 years old. Is there anywhere i an find a list of all available commands for this mod ? There are no commands for this mods. theres a bug with the mod when u die with soulbound item that item is deleted.